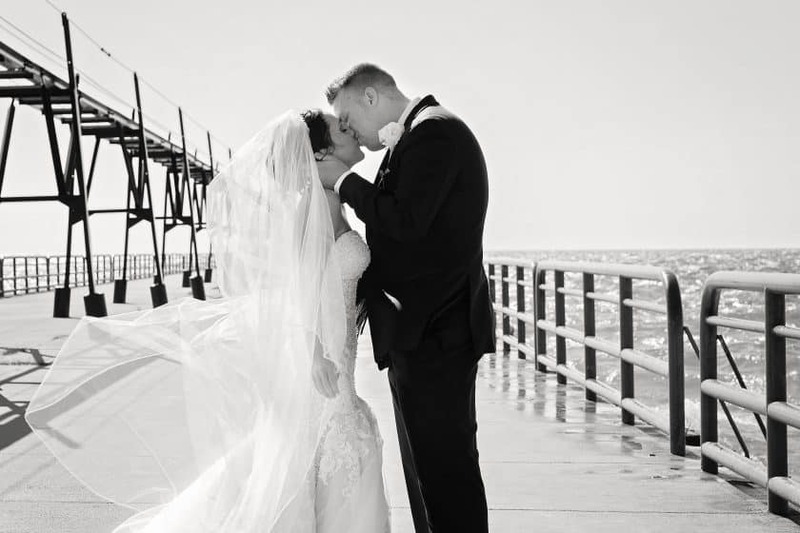 The amount of amazing photos from Raven & Daniel’s July beach wedding is almost overwhelming – I could hardly narrow them down to a few favorites for this post! 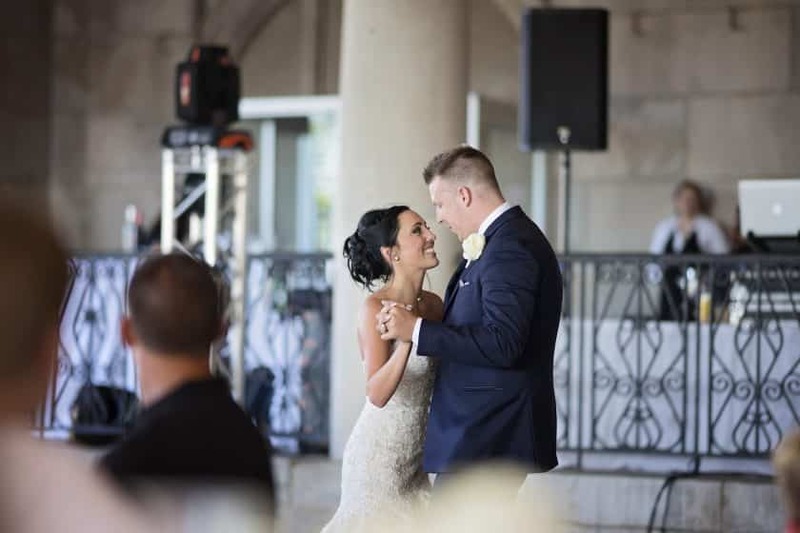 Everything about this couple and their day was just beautiful! 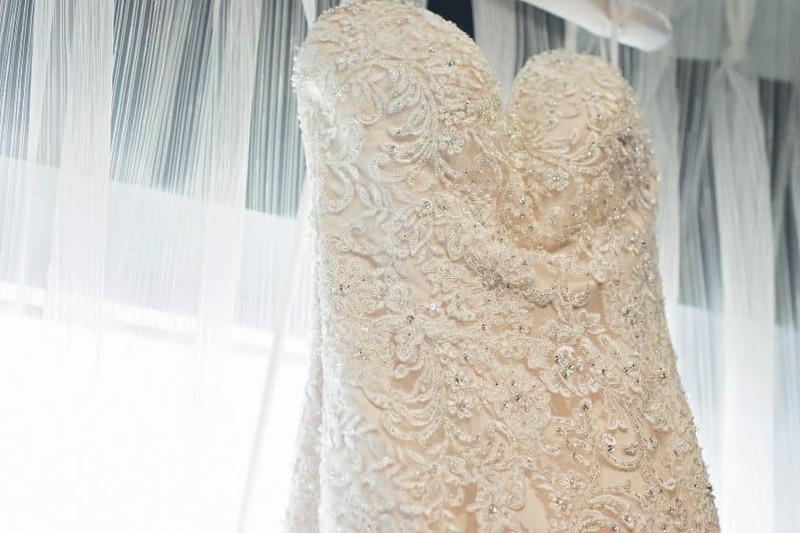 We are all still swooning over Raven’s perfect lace and beaded dress that had a soft blush underlay. 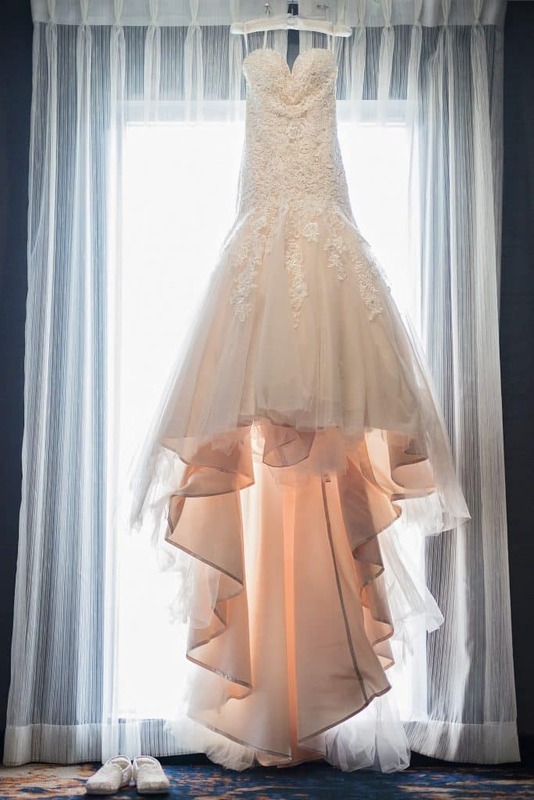 It was a perfect, subtle alternative to the traditional white wedding dress. 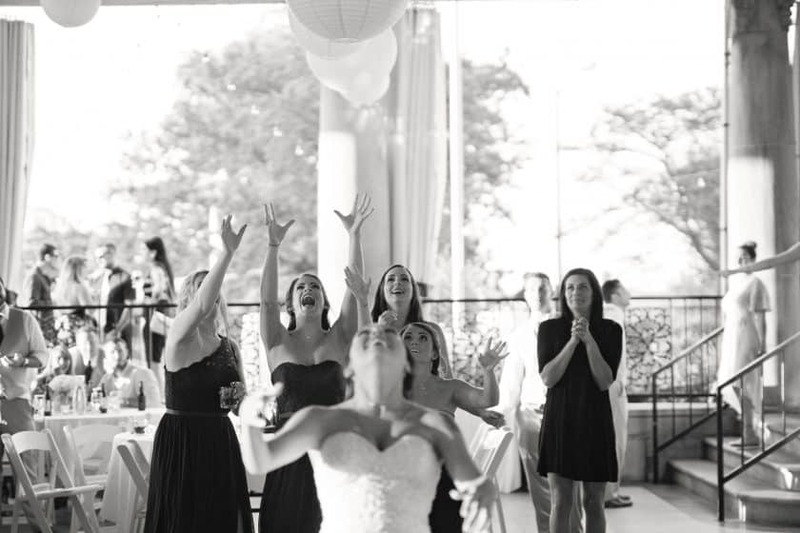 And she rocked.it. 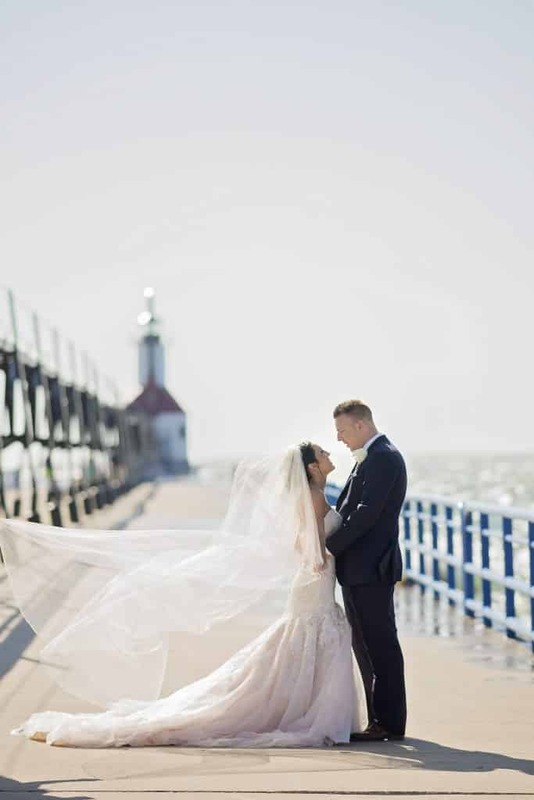 Raven & Daniel were married at Tiscornia Beach overlooking the St. Joseph Lighthouse on a picture perfect day. 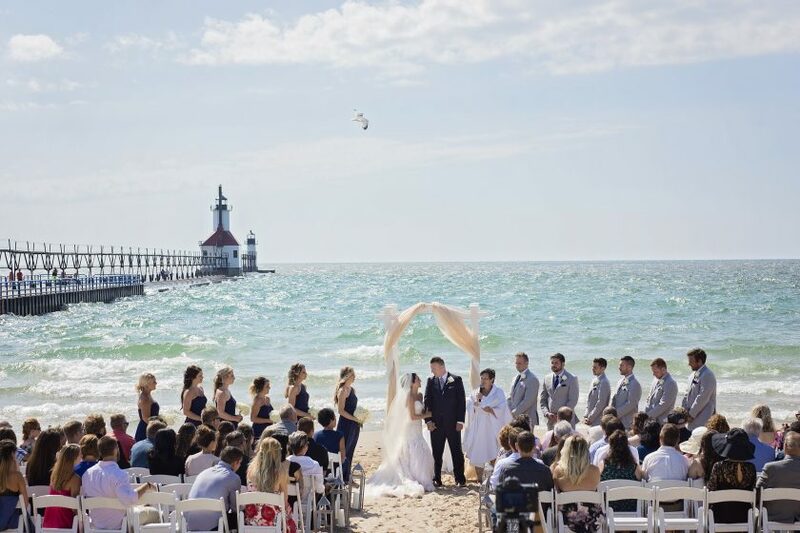 These photos capture how Lake Michigan almost looked tropical with bright blue water and rolling whitecaps. 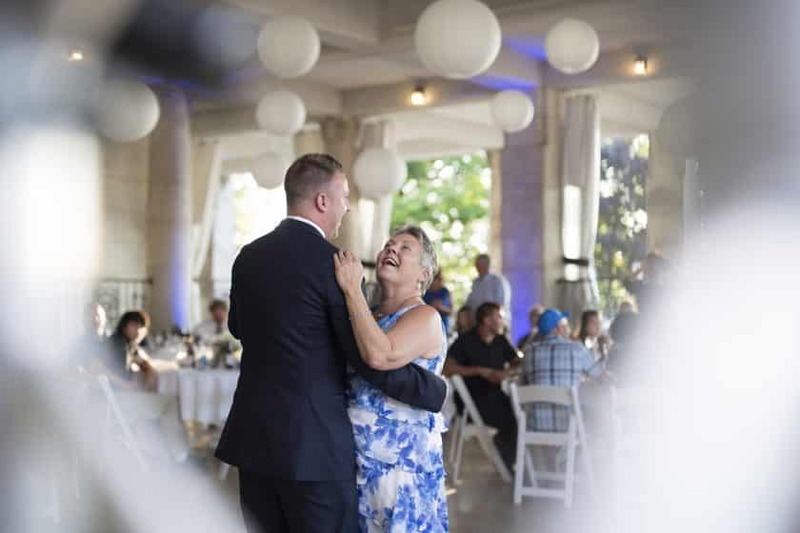 The couple incorporated a “promise box” into their vows and the ceremony was filled with such heartfelt moments. 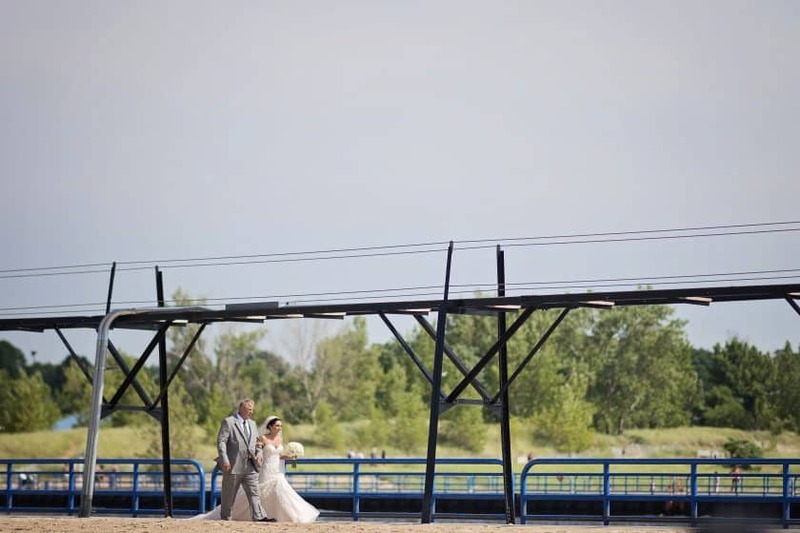 Their photographer, Cellardoor Weddings, even captured Raven’s walk with her Father down the pier to meet Daniel. 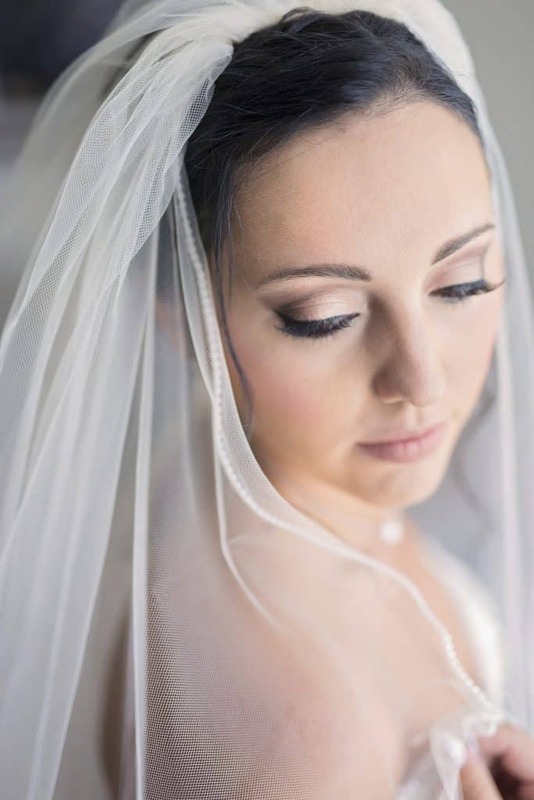 You can also check out their blog post of this beautiful wedding here! 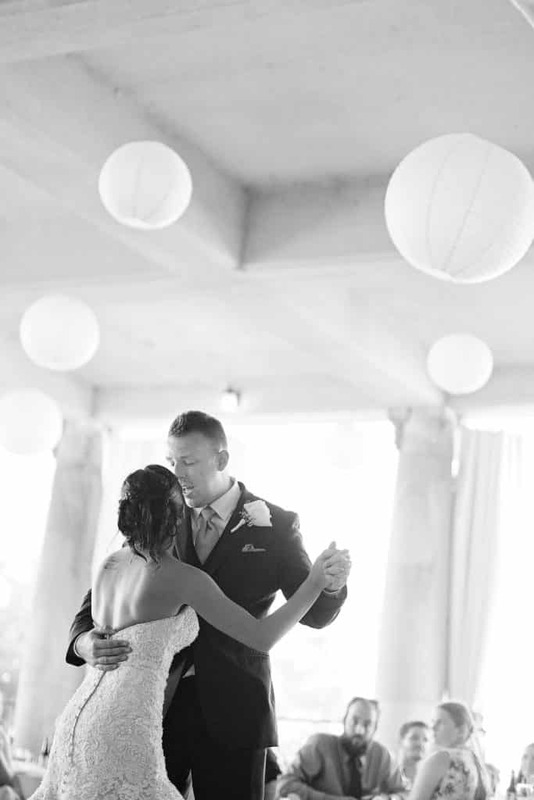 Their reception reflected the couple’s colors of navy, silver, white and gray. 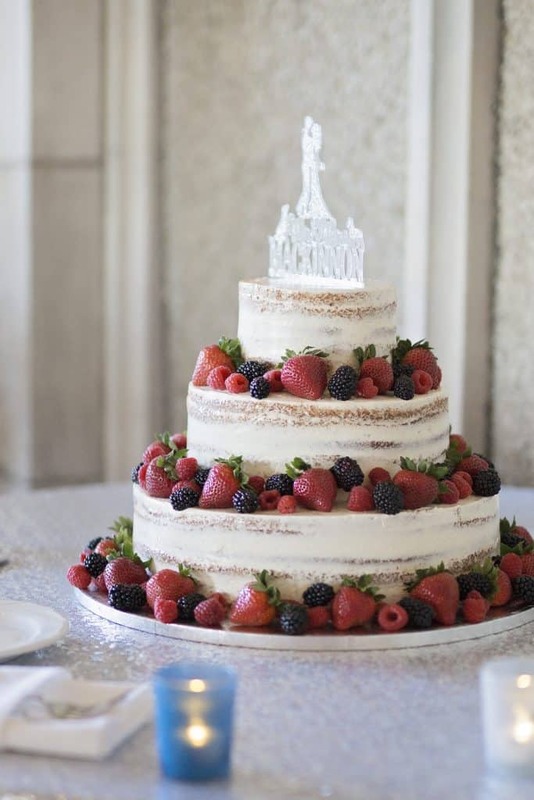 Crisp all white linens gave The Veranda a fresh feel while the silver sequined linen on the cake table added the right amount of sparkle and highlighted their fruit adorned naked cake! 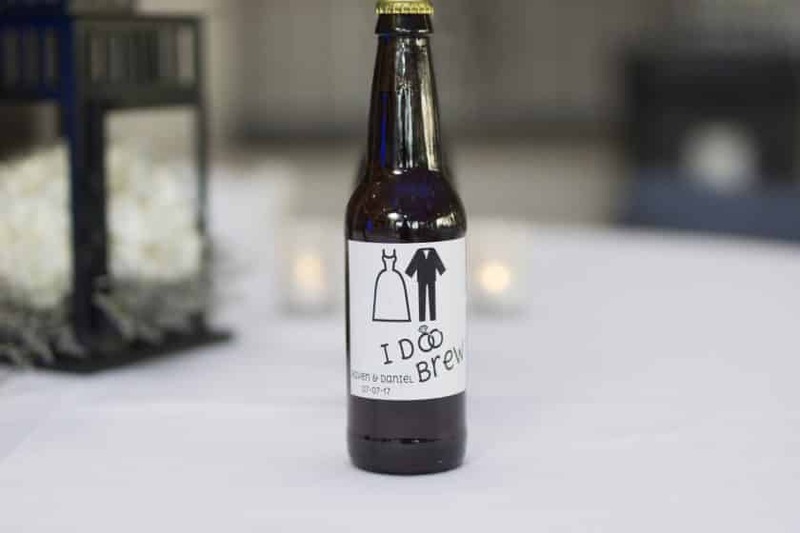 Raven and Daniel completed the tablescapes with personalized beer bottles and hashtag cards at each setting to get guests ready to party and record all the fun. 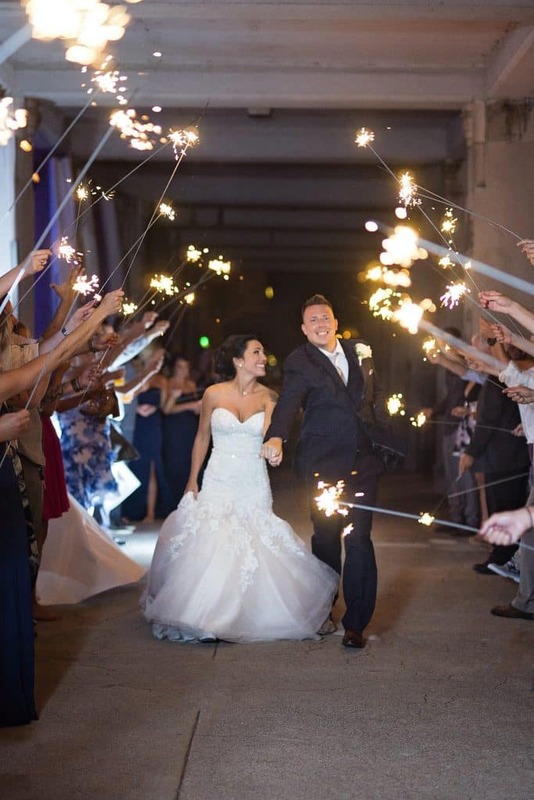 The look on their faces as they walked through their sparkler send off proves it was a day filled with so much love and laughter. 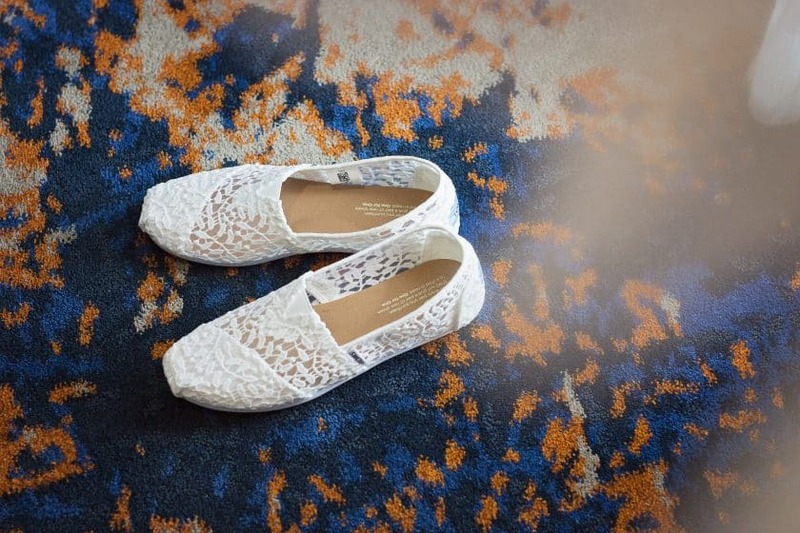 We are so grateful to have shared these moments with them. 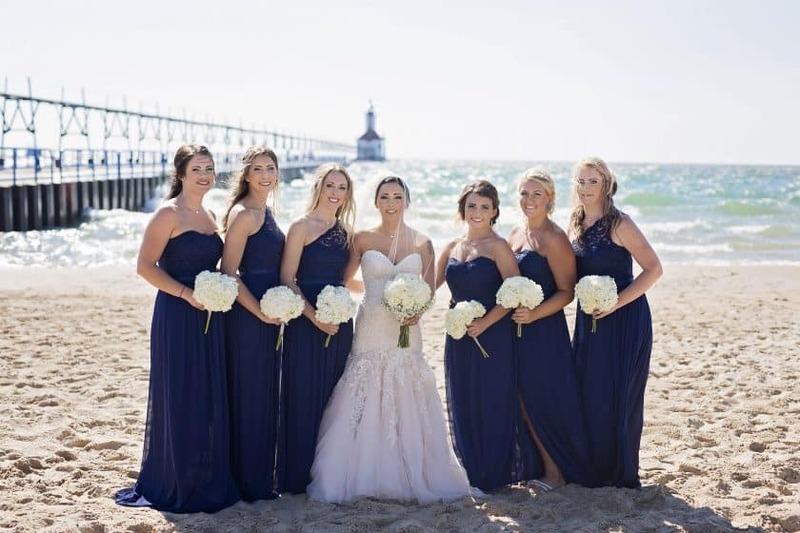 To get the full scope of how amazing this Lake Michigan beach wedding was, check out this video of their day from Coastline Studios! 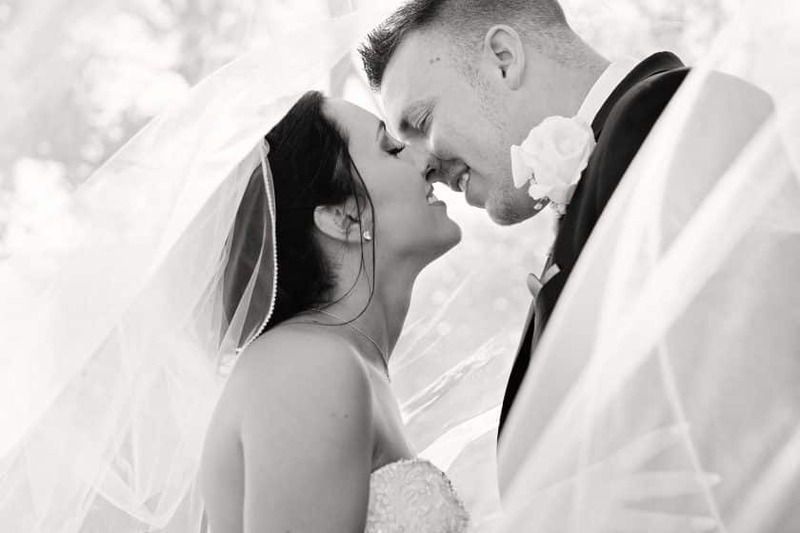 Congratulations once again Raven & Daniel! 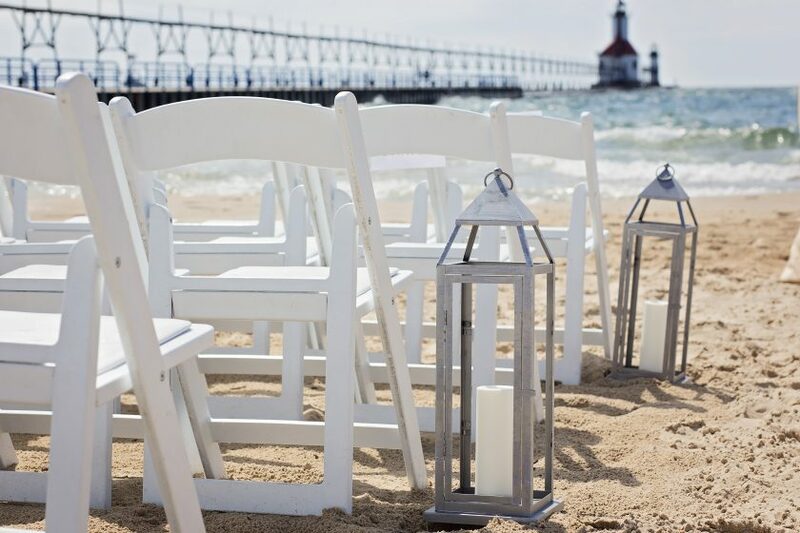 Interested in a Lake Michigan beach wedding? Let us know and we’ll get you info! 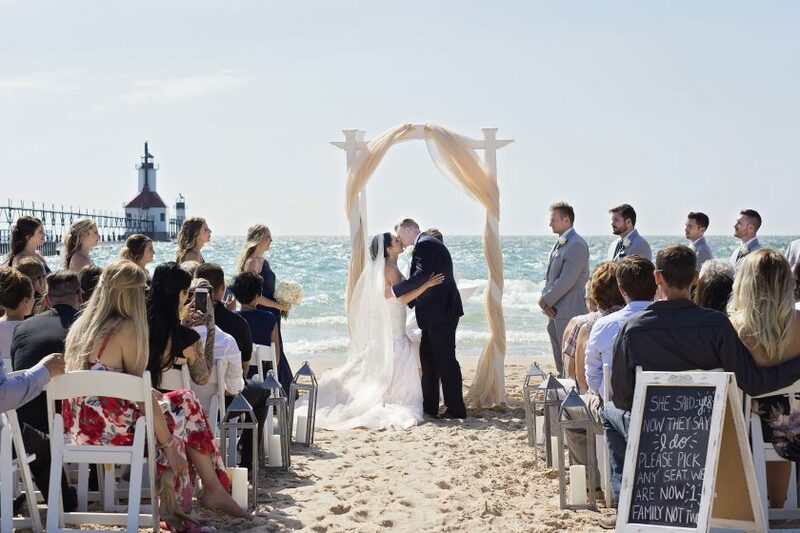 Ceremony: Tiscornia Beach, coordination by 1928 Planning Co.